I doubt they will be in for a while. Too much baggage comes with them. Maybe further down the line, they might appear. Keep your eyes peeled for hints and cameos though! 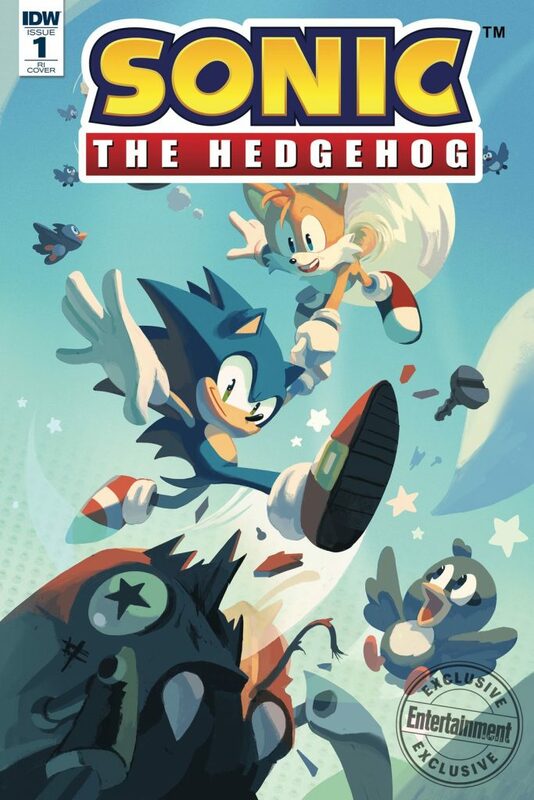 So this one of Amy's covers, and that guy behind Sonic kinda looks like a echidna, which makes me wonder if Ian has plans for someone besides Knuckles. 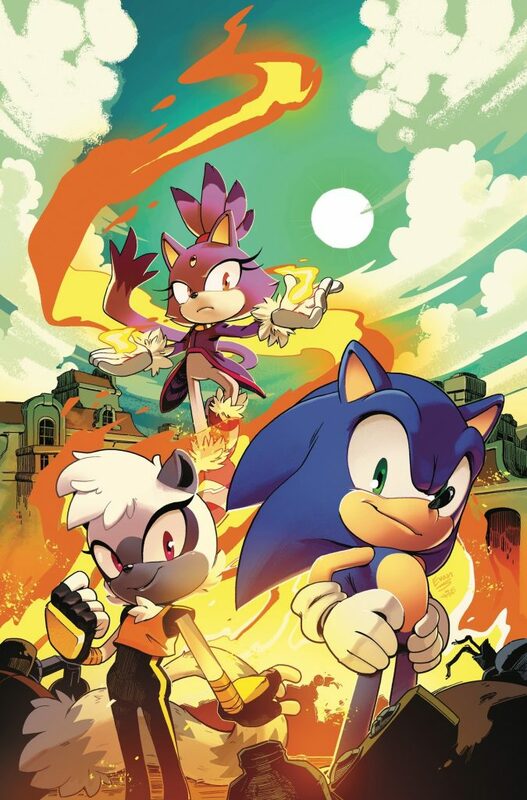 So far I'm loving the artwork that has been shown, specially because most of the artists come from the Archie run: Tracy Yardley, Evan Stanley, Tyson Hesse, Adam Bryce Thomas... and so on. As for the story... sounds pretty simple. The synopsis feels bland. I hope that's because they don't want to spoil anything, but at this point I'm afraid Sega has taken over the creative team and said something like "Sonic is always happy, he cannot emote anything else... oh, and everyone loves Sonic, and no one can do anything without him", while Ian Flynn makes a facepalm, knowing he'll be facing his greatest enemy yet: WRITING A PROMOTIONAL COMIC WITH NOTHING TO TELL. 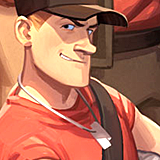 Mr. Flynn (as well as the artists involved), we believe in you. I don't want to see a Mr. Perfect Sonic... but Sega seems to like it, as what we've seen in recent games. Well all the main Sega cast has to be in the comic eventually, and if it's mirroring events from the games, some of the more relevant plots points my be dumped on us quickly. It's being set after Forces, so while it won't be so much mirroring the games as 'the games have already happened in the past'. So a question for the mods, will you put the IDW comics on this site? Do you plan to bring back the Archie comics? ME TOO! I’m excited to see how this might turn out! I know Ian Flynn and Spaz! are both back (yay) and I believe a few other producers from Archie are also back. My Sunshine Tracy is in?! YYYYYYYYYYYYYYEEEEEEEEESSSSSSS! Okay NOW I am absolutely happy. I've read my copy of Issue 1 now. It was fun. Nothing spectacular, but certainly not bad. Though as others have said, just being 'fun' might not be a strong enough start. But this is only part one of four this month, so I won't write it off just yet until all four are on the table. Saw it, loved it, need more. 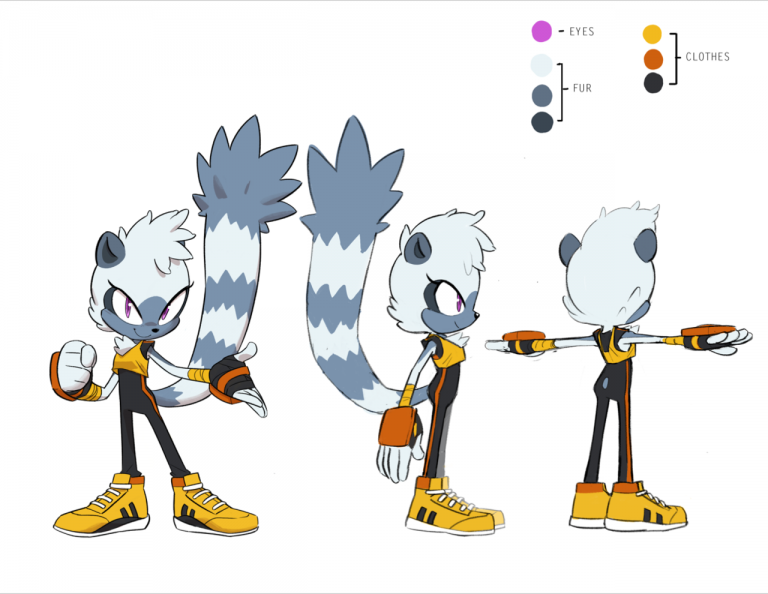 and where is our girl TANGLE? Finally got to read #1 and I must say, HYPE! Slow start but it IS a four part pilot. Can’t wait for the other three parts! Taking it in isolation, this was a step-up from Issue 1. Still fun, probibly a bit too much action, but it had some good character moments for Amy. Having said that, if you weren't a Sonic fan and didn't know who Amy was, you might wonder why so much of a deal was being made about her being a leader. But, looking at this as Issue 2 in the four-part introduction, it looks weaker. It follows the same structure as Issue 1. Sonic shows up to save a town. Sonic's friend shows up just in time to save them, and pass on some exposition. The two banter and break some bots, and the Sonic goes his own way. And once more we see a talking chair. There's not even a hint or clue dropped as to who this might be to keep us speculating, aside from they must be smaller than Eggman. The comic structure is stuck in a rut, and it's only the second issue. As a standalone, I enjoyed it. As Issue 2 to try and start the series, I'm worried. I feel you could have combined this and Issue 1, and the story would have been the better for it. I really enjoyed the second issue, Amy's dynamic with Sonic was very well done, for once I didn't find her obsessivness annoying. But, it followed the same formula of the frist issue, which is concenring. Hopefully the introduction of Rough an Tumble will break the pattern. I loved the art style VERY much! and I also like how Sonic and Amy worked as a team, though I do think it needed something more. I'm not sure what I was hoping, but for 4 part starter comics the second part did pretty well. Maybe a bit too similar to the first one, but then again this is just the starting point, can't exactly wish for perfection.. YET. Rough and Tumble are my new favorites, they're everything team rocket wants to be.